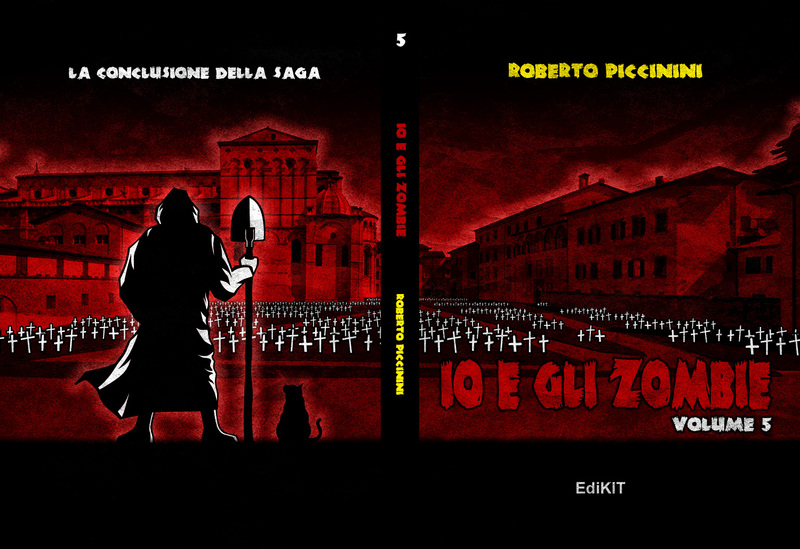 Io e gli zombie vol.5 is the fifth and final volume of the zombie apocalypse saga created and written by Roberto Piccinini. 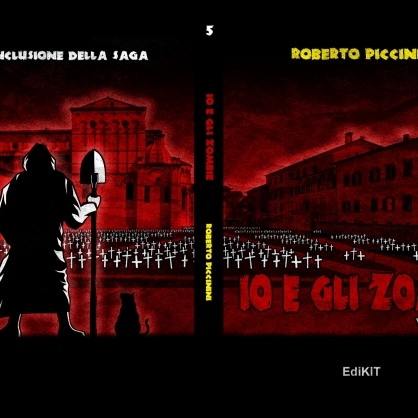 The illustration on the cover represents the open space behind Lucca, Italy’s Duomo. 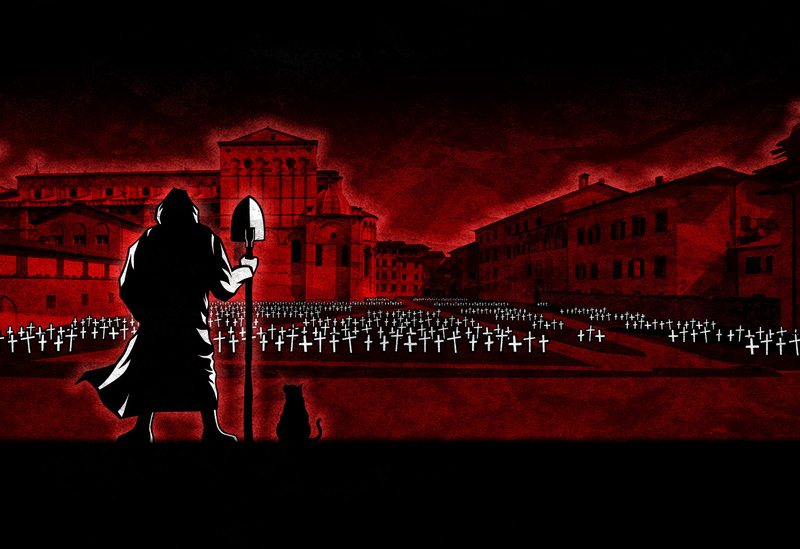 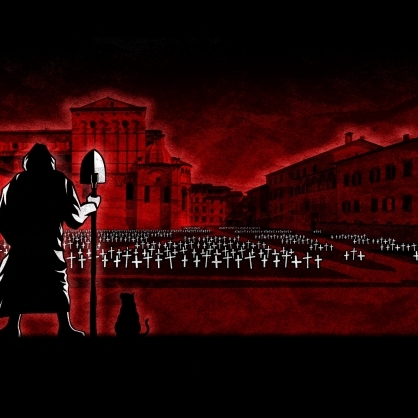 Ever since the first book, the gardens behind the duomo have been used as a graveyard by the community of survivors that live barricaded in Lucca.